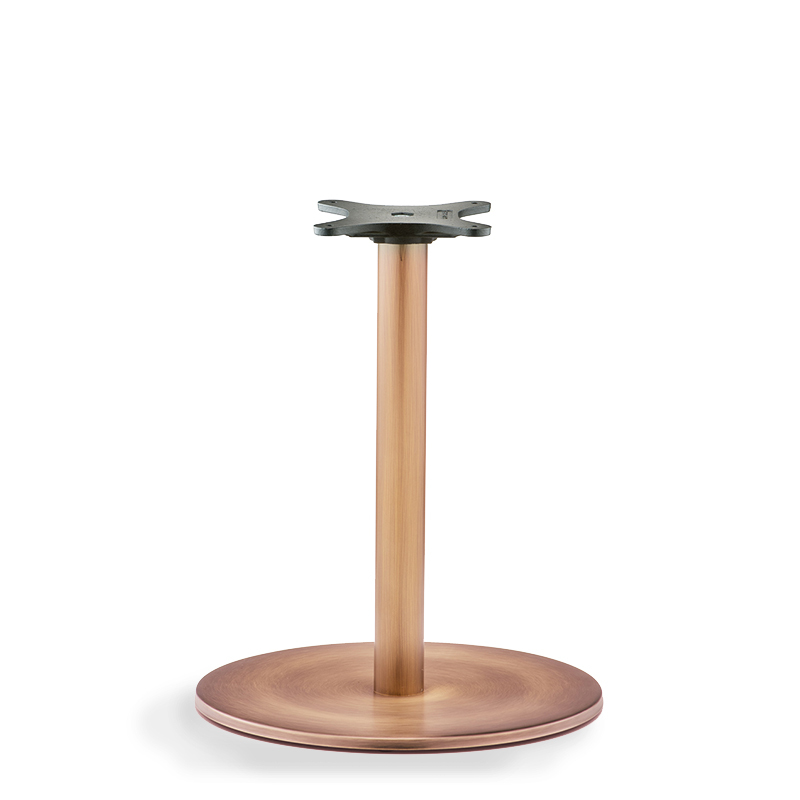 Inox table base with bruched stainless steel finish. Available in antique gold and copper finishes. Suitable for a table top sized maximum D70 cm.